We know you'll be impressed when you walk in to our Bridgwater storage facility. Our warehouse has been fitted out with modern, bright self storage rooms. There aren't many Bridgwater storage companies offering this level of storage. We are currently offering 50% off your first 8 weeks storage with us on all rooms! This is a limited time offer but you don't need a firm date at this point to get it. Just reserve a room (we can do this up to 8 weeks in advance) and that will lock in the offer, you can then decide on the exact day nearer the time - you don't start paying for your room until you move in. We have a large range of sizes from a small phone box size room up to a space big enough to fit a 6 bed house in. Customers use the smaller sized rooms for decluttering or storing items such as a push bike or washing machine. The larger storage units are used more often for house moves or sorting out furniture after a death in the family or from downsizing. Having a variety of sizes also means you can have all your possessions in one room. Some other storage companies in Bridgwater offer only one size room and therefore your settee and other items are kept on a rack. It also means when you're looking for one item to retrieve you don't have to go in to three different rooms before you find it! Our friendly staff are on hand to advise you on the size you may require. We always try to get you in the smallest room possible that's why we have a reputation for offering affordable self storage in Bridgwater. 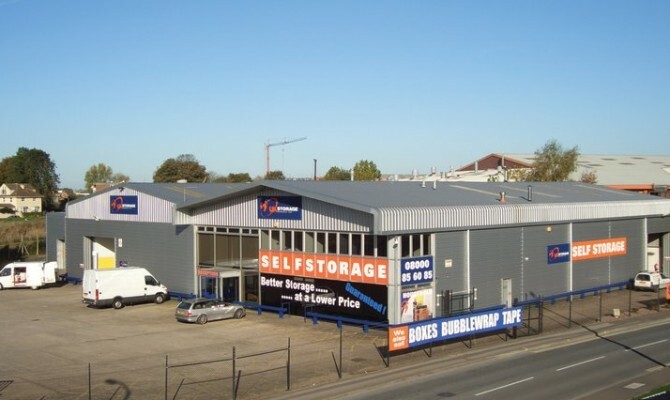 In fact we were one of the first Bridgwater storage companies to offer self storage in the town. Having opened in 2005 our head office is based on site, employing a fair few people from the local area. We know many savvy people nowadays move the items themselves so we offer our van free for one day - you just pay for the diesel. There isn't a mileage limit so whether your moving near or far you can use our van to help you on your way. We supply the van full of diesel and we just ask you return it that way. There are the usual restrictions that apply to van rental which we would be more than happy to run through with you. The security of your goods is as important to us as it is to you. The site is surrounded by a 2 metre high perimeter fence, there are then CCTV cameras throughout the site which are recorded on twenty four hours a day, 365 days a year. The building has smoke, fire and intruder alarms which are tested on a weekly basis. Your room is then locked with a high security 70mm disc padlock - you can supply your own or they are available to buy in reception. You hold the only keys to your lock or if you want we can keep one on site in a locked key cabinet. This can be handy if you're passing and want to pop in without nipping home first to find your key. You can also have authorised users added to your account so if you want more than one person to have access to your room they can collect a key off us after showing us some ID. We can accept delivery of your goods on your behalf, whether that is the removal men arriving at a different time to you or just if you have ordered an item off the internet and want us to sign for it. We'll even give you a call to say your item has arrived so you don't make any unwarranted trips down to see us. We can do that for you - all a free service. Our storage facilities in Bridgwater are designed to be the best level you can get for your goods. You want your items to come out of your room the same way they went in. They only way you can guarantee that is by storing them in a building that is free from damp, that has a consistent temperature through the year and has a reputation for serving hundreds of customers over the years. That is exactly what we have done and that is why we have customers coming back to us time and time again. Knowing that they can trust us to look after their worldly possessions. The self storage units in Bridgwater are well lit from the corridor with the lights on sensors throughout the facility so as you move around the building the lights will come on around you. The rooms themselves have wide doors, much wider than in your average home with plenty of space to get large settees or other bulky items in. Some of the larger rooms also have double doors. If you are looking for low cost storage in Bridgwater, we have a small amount of storage within a shipping container, not recommended for household items these are generally used for gardening tools and other items that are able to deal with the elements as the containers aren't insured. With limited availability please call if you want more details on this offering. Our self storage in Bridgwater, Somerset is well located within the town. We're close to the motorway yet within easy reach of the town centre. The facility is based on East Quay - just the other side of the lights from Wylds Road as you head in to town we are directly opposite East Quay Medical Centre. If you are heading from Wembdon / Cannington way then as you come down to the lights where Riders are turn right and we're the second building on the right. See the map below for more details. Be careful when using our post code as it takes you past the site and much further down the road. If you get to ASDA you've gone too far! The site is a good base for anyone heading to us from the Williton / Watchet area with easy access to the motorway and the Minehead Road. As you pass the door pick up your items or drop them in to storage. Somerset and beyond, you will receive a warm welcome at our door. When we laid out our facility at the start we had one thing in mind and that was to make it as easy as possible to load and unload. There are two loading bay doors and you can park your car, van or lorry right up to the door. We then provide free trollies for you to put your items on, heavy or not. It means you can move them straight from your vehicle on to a trolly and in to our dry building. We have three floors and whether you are on the ground floor or the top floor it doesn't mean any extra carrying. Our lift is located right next to the door and you can put your items straight in there and then wheel them down the corridor to your room. We also have sack trucks and pallet trucks on hand ready for you to use so even bulky business equipment or pallet storage can be dealt with quickly and without breaking your back. When moving house it can be hard at times to have a permanent address, whether that is because you're heading off abroad, renting out your home or simply having to move around a lot because of work or other reasons. We offer a service where you can effectively rent an address from us. 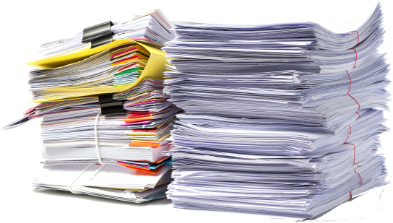 It's available on a weekly basis and means you can have your post sent to us. We then put it into your locked mailbox and then when you're back in the area you can pop in and pick up any post you've received. We can even sign recorded delivery items as long as they'll fit in to your mailbox. We're the only Bridgwater storage company offering this facility as far as we're aware. If you need cardboard boxes, tape, bubble wrap etc. 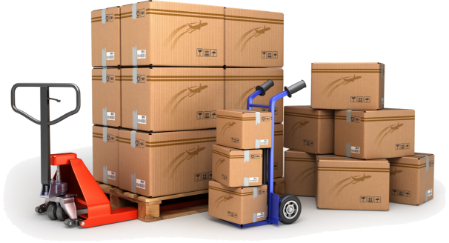 for your move or just to post an item, we have a variety of packing materials in stock and available to buy in reception. As well as thinking of calling for storage boxes in Bridgwater when moving your goods you may you may want to consider furniture covers to keep your items dry in transit. 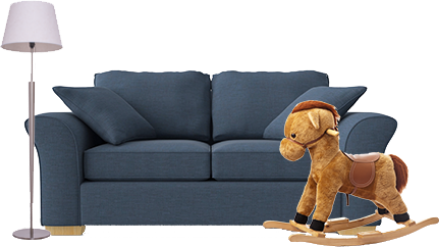 They act like a big plastic envelope for mattresses and sofas but have small holes in to allow your soft furnishings to breathe. We recently won an award for our packaging offering beating other national companies to the award, quite an acheivement for a little storage company in Bridgwater. We think you'll be very impressed with our facilities. Call in today and we'll show you what we believe is the best Bridgwater self storage facility and we make all our customers free tea or coffee so why don't you take us up on the offer? Moving is stressful but the team at UK storage were so helpful when I needed more space, it was one less worry. Good price boxes and a free van hire for one day. Excellent communication and very friendly staff. Extremely helpful staff, clean premises, multitude of room sizes for all occasions, even a free cuppa on arrival! The lift was also particularly exciting ^.^ but easy to use and they have all of the moving equipment (trolleys etc) there for you to use. As a naturally grumpy old lady I'd love to say there was something wrong, alas there was not and I would highly recommend them. Uk storage at Bridgewater was excellent from start to finish, they held my unit for weeks with a ten pound deposit. The place is clean and tidy and the staff very friendly and also offer free tea and coffee. Really helpful, friendly staff. Simple to set up and even simpler to increase storage space. Can’t rate these guys enough. Thank you. A pleasant, courteous and helpful team. The units were clean and spacious. I had full confidence, as a lady, using the storage as I knew there was good monitored security. I have no hesitation in recommending this company. Great Service and all the Guys are happy and very polite. Clean and tidy environment. Very easy to use and would recommend.